Students must successfully complete all degree requirements as indicated in the Eckerd College catalog that is current at the time of their first registration in an Eckerd course (as long as the student remains continuously enrolled) with the exception of the number of courses and short terms. 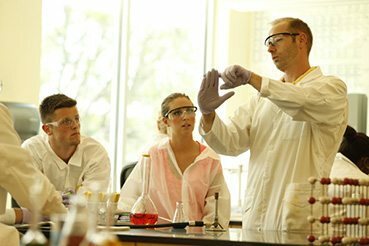 Students in the 3+3 Accelerated Law Program are required to complete a minimum of 24 courses plus an Autumn Term course in the freshman year and a Winter Term project in each of the subsequent two years. 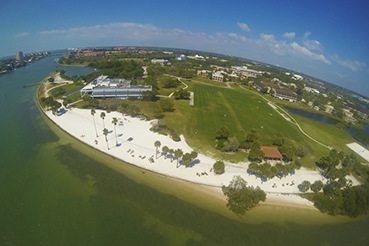 Students must complete all the requirements for an Eckerd College major. There are no restrictions on the particular B.A. or B.S. degree for this program, but it may not be possible to complete some majors in three years. Upon completion of the above and a successful application to the Florida State University College of Law, a student will follow the usual prescribed course of study for full-time, first-year law students. Upon successful completion of the first year of law school with grades comparable to a C- or better (grades of Satisfactory are acceptable), 9 law courses (30 semester hours) will be counted toward the undergraduate degree, sufficient to complete Eckerd's requirements for the bachelor's degree, and the baccalaureate degree will be awarded by Eckerd College. The student's GPA will be based on Eckerd courses only. The Juris Doctor degree will be awarded by Florida State University College of Law upon successful completion of all other J.D. requirements. Students meeting the criteria above will be eligible for preferred status in the applicant pool for Florida State Law's annual Summer for Undergraduates Program. ly) admission to Florida State Law. Satisfy all bachelor's degree graduation requirements necessary to ensure conferral of the undergraduate degree by Eckerd College upon completion of the first year of law school. This includes the successful completion of a least 27 Eckerd course equivalents 18 of which must be completed in residence at Eckerd. Fulfill all major and graduation requirements (other than total number of courses needed) by the end of their junior year. Pay the same tuition and fees to the law school as do other first-year students. The 3+3 Accelerated Law Program students admitted to Florida State Law will be considered for merit and need-based scholarships along with other admitted students. Students interested in scholarships should work through Florida State Law. The program is designed for an academically qualified student who is willing to work hard. 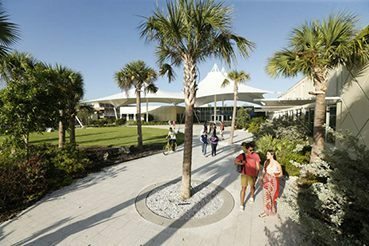 The keys to success are being well qualified on entering, making timely decisions on an Eckerd College major, and obtaining early advice from the Program Coordinator.